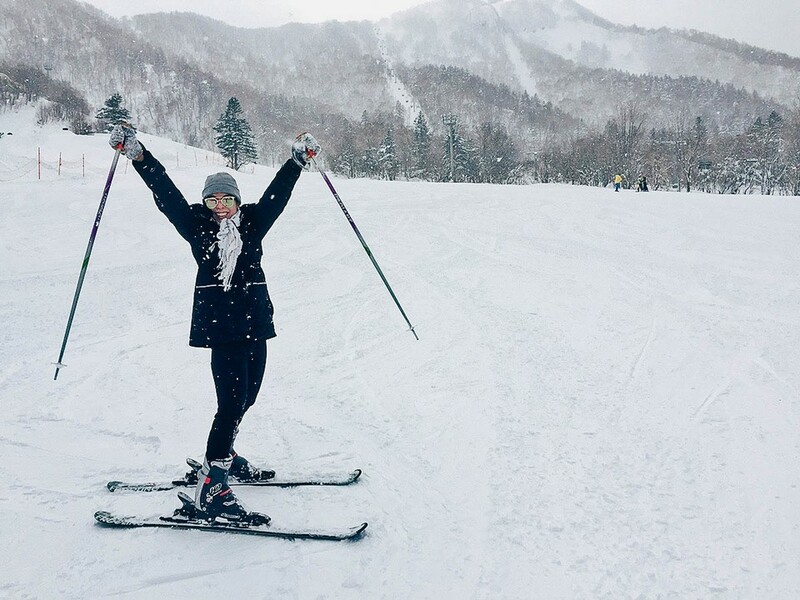 Top ski resorts in Hokkaido — Top 5 places & best ski resorts in Hokkaido - Living + Nomads – Travel tips, Guides, News & Information! 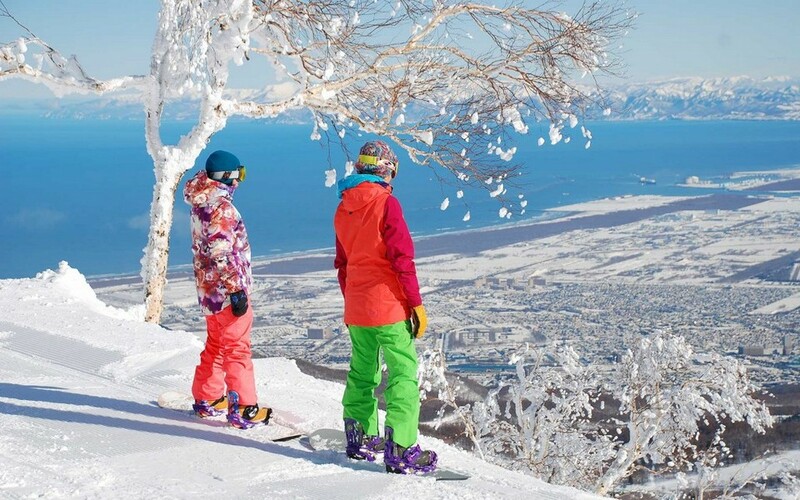 Hokkaido is known as a heaven for skiing in Japan like the Hawaiian North Shore is to surfing. 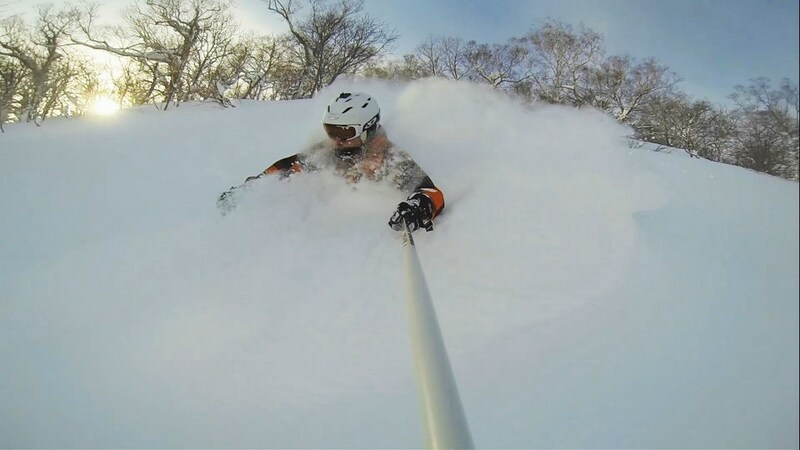 The northernmost island of Japan is a Mecca for those who love the snow powder. Its reputation emerges thanks to the amount of snow falling every winter. However, it’s not all about quantity. Snowstorms in the north of Japan mostly results from the cold winds blown over from Siberia. That picks up the moisture over the Sea of Japan before creating a huge amount of snow on many Hokkaido ski resorts. The result is that the driest and coldest snows you can find on the planet are in Hokkaido. The consistency of the Hokkaido’s snow is truly like powder. When skiers surf on a fresh 50-centimeter snowfall, they will have the feeling of weightlessness. That is the pinnacle of skiing – the feeling that every skier on the planet should try at least once. So, are you finding top ski resorts in Hokkaido, Japan and best places and best ski resorts in Hokkaido for beginners? 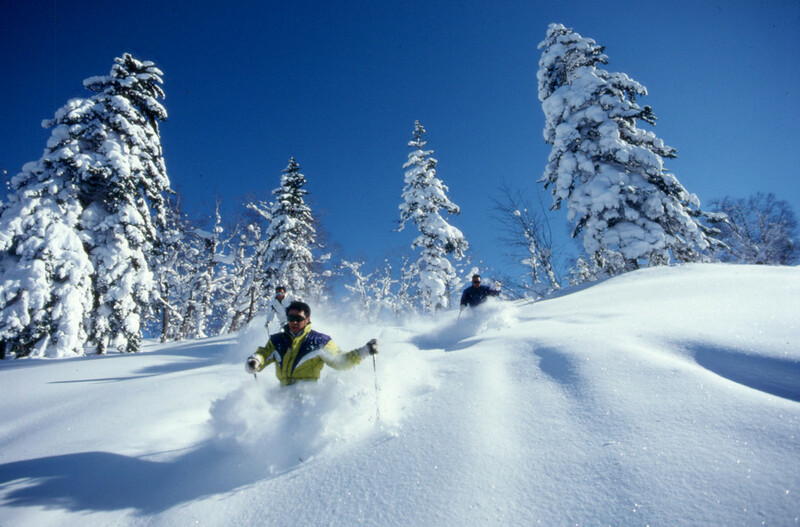 Let Living Nomads introduce some best places to ski in Hokkaido: Top 5 best ski resort in Hokkaido. Now let’s explore them with us! 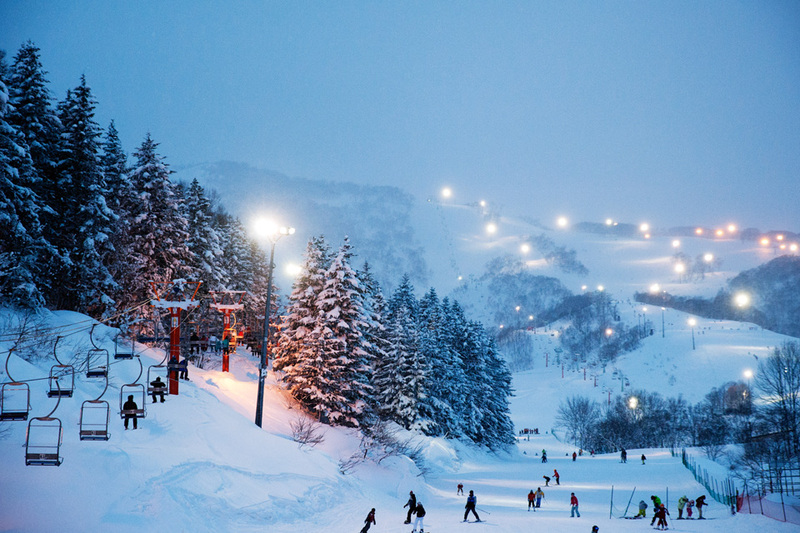 Credit: best ski resorts in Hokkaido blog. 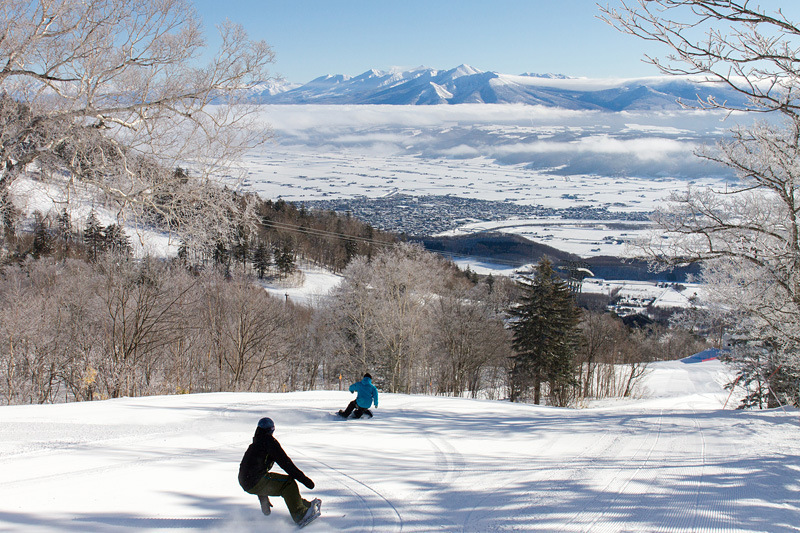 Furano is one of the perfect Japan ski resorts which has all suitable features in most categories. Indeed, its the deep and dry powder snow has become synonymous with Hokkaido skiing, but that’s just the start. First, the snow removal is only possible in the ski areas. 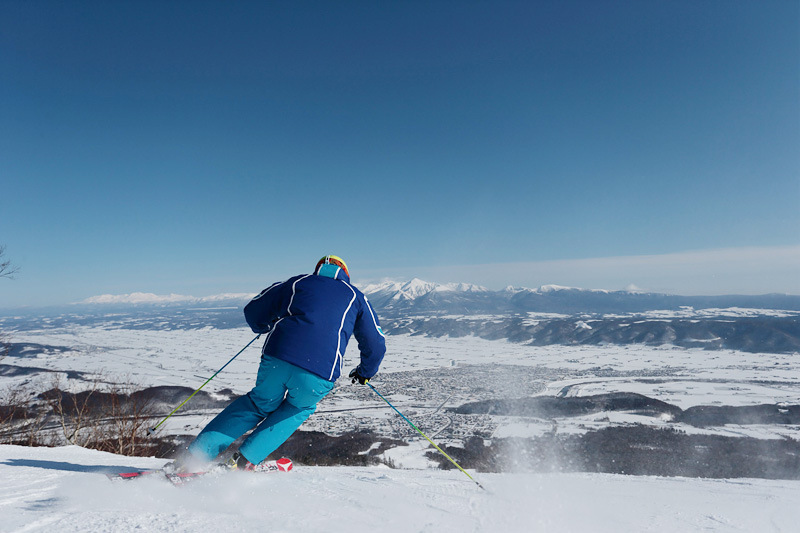 The perfect trails left after snow cleaning are the reasons for many skiers list Furano as a favorite. Furthermore, the managers of Furano ski resorts have developed a long-term relationship with the FIS Alpine Ski World Cup. It means that the excellent quality of snow and all services here is famous. This place used to host 12 FIS World Cup events. Second, this resort seems to have reached an appealing balance of culture and convenience. Its resort accommodation is a mix of luxury hotels (the resort is owned by Prince Hotels) and a small selected self-contained apartments. 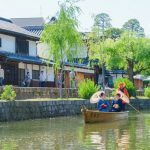 Furano Town, a short distance from the ski resort, provides “full facilities and comforts” including cater-cousins for English-speaking guests without losing the essence of Japanese“. One more thing is that the expansive and perfect snow trail of this place makes Furano become the favorite place of skiers. If we call this ski area as a “family ski area”, it is not fair to it because there are specific terrains that can satisfy all athletes. In addition, this place is very safe for young children and these young athletes. 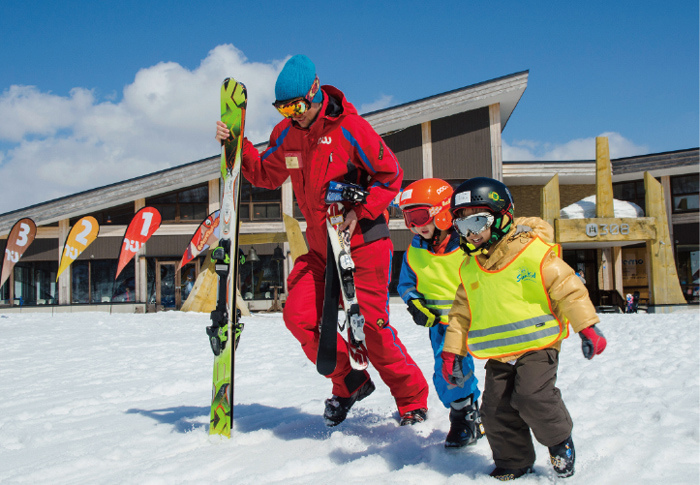 They can take part in a discounted English ski course and play in a snow park called Family Snow Land. 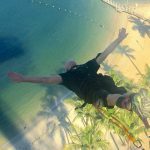 For parents looking for a vacation to relieve stress, nothing is more interesting. 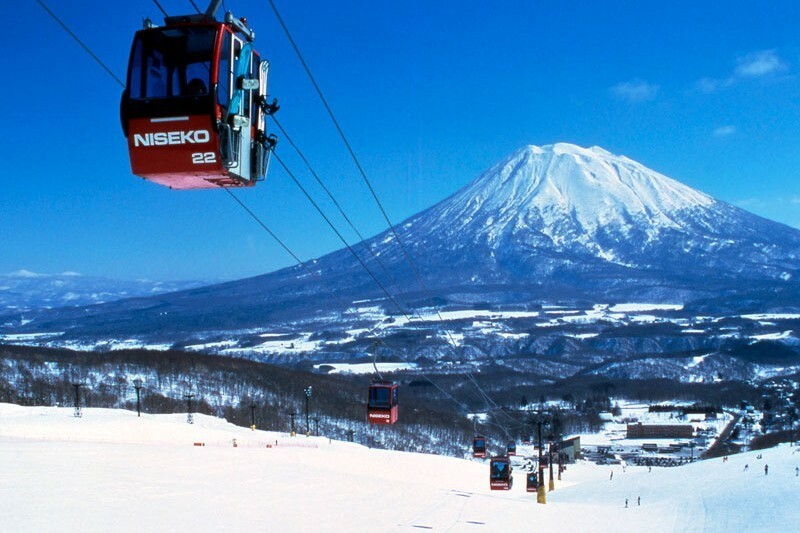 The “Niseko” name has become an imagery so virtually no discussion about the ski resorts in Japan makes without the mention of the country’s most famous resort – Niseko. 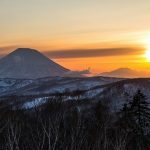 Many people criticize that Niseko has become overdeveloped, too globalized or too busy to ignore the reasons making the resort become famous in the first place. The special thing is its distinguishing terrain. 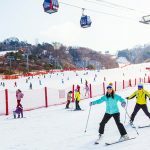 Four separate resorts are linked by a single ticket, which creates everything convenient for everyone from the wide snow trails for beginner to those lines needing advanced techniques. And, of course, the Hokkaido snow powder is the most famous. Any skier, regardless of ability, could spend several weeks enjoying here and not get bored at all. Cable car in Niseko with Mt Fuji in the background. 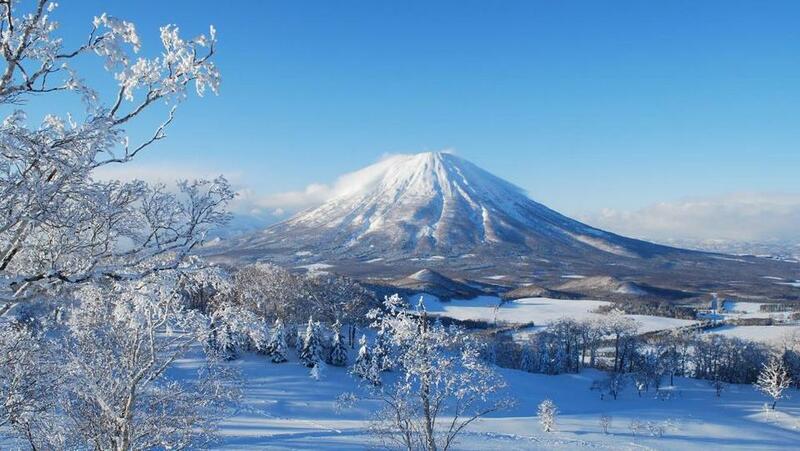 Credit: best ski resorts in Hokkaido blog. Moreover, one thing makes the mix Niseko famous is the night skiing. At that time almost the entire resort opens each night under the powerful spotlights. Niseko’s gate system can give skiers lift access to side country and backcountry areas where there are almost guarantee deep and fresh tracks for skiing. 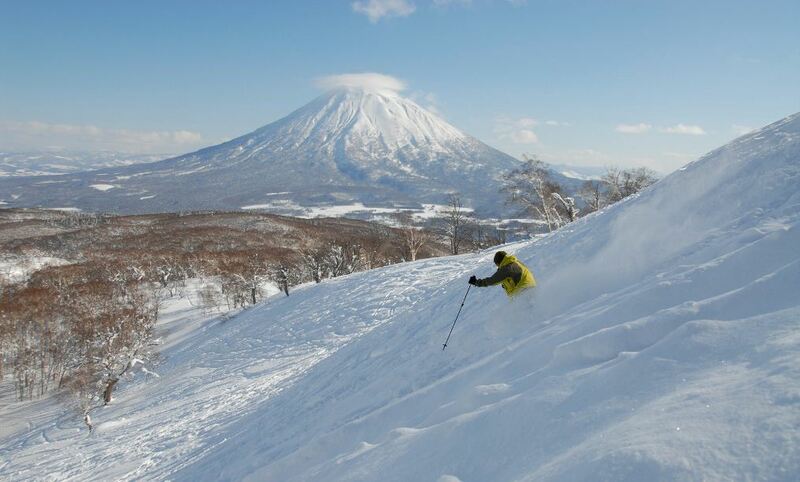 Perhaps, the biggest benefit in Niseko is also its most common criticism. The area has developed in such a way that skiers can depend on the resort without any worry about the small inconveniences. That may be a cause of frustration for travelers in Japan. Besides, English speaking staff here serve to one’s every need at the accommodation. Australian ski instructors also wait for the beginner at each snow track. Restaurants with all English-language menus – which offer a variety of Western and Japanese cuisine. 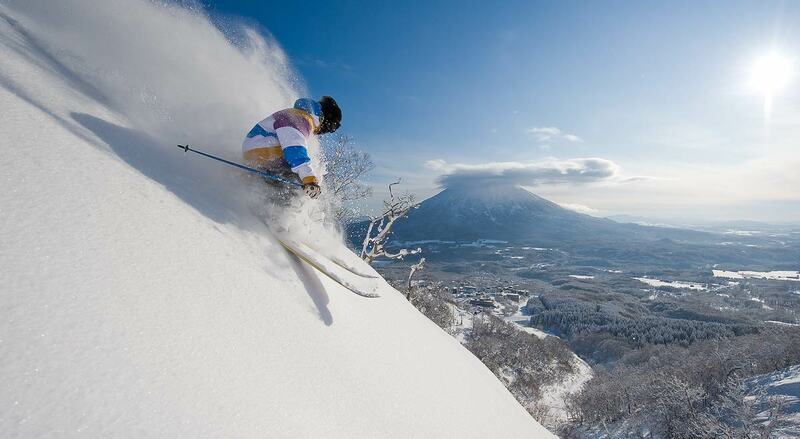 In conclusion, Niseko is the world-class skiing resort with its most luxury conveniences. The kind of convenience that many of us may be not familiar with, but expect when traveling overseas to go skiing. 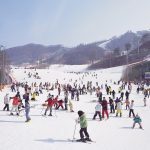 According to the report of an expert, the exact amount of snowfall in Kiroro each season varies somewhere between 13 and 21 meters. The correct answer, though, is that the amount of snow is “enough to go around”. 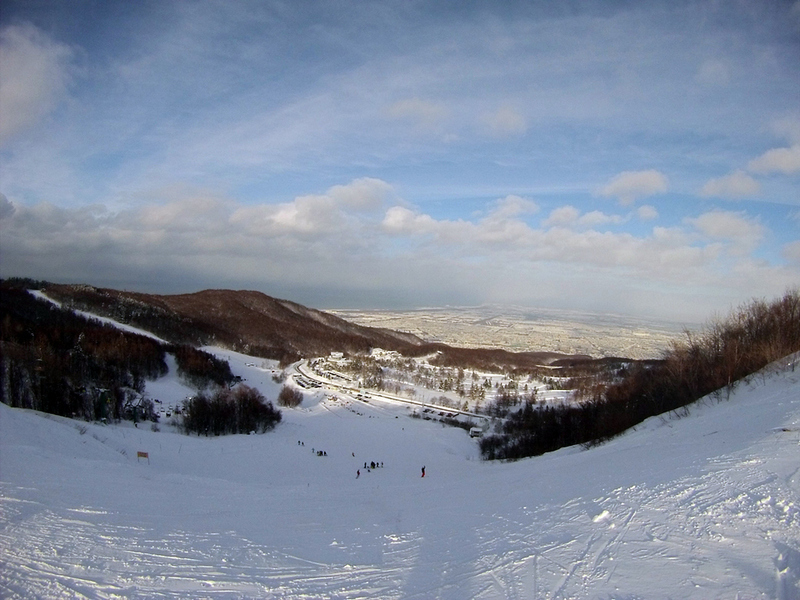 Overview of Kiroro, Hokkaido from the top of the ski area. 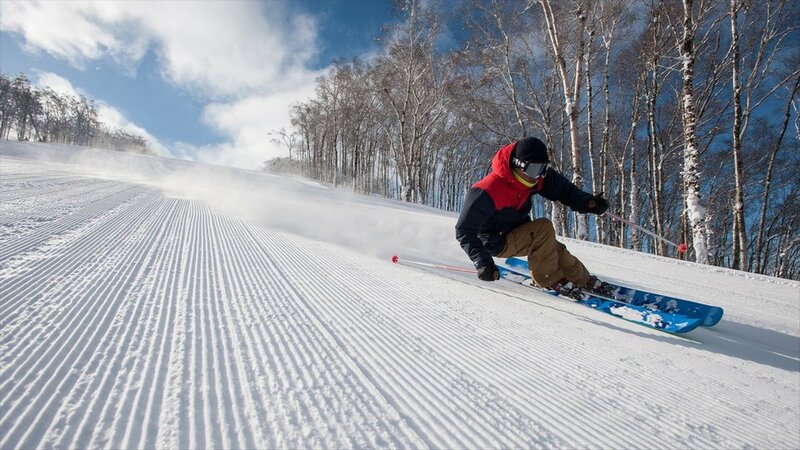 Photo: best ski resorts in Hokkaido for beginners blog. Among all the Hokkaido ski resorts, Kiroro has a reputation for being one of the first places to open and the last place to close. Every day there’s a very good chance you can ski on the best snow powder of your life. So if the powder is your only reason for visiting the resort, that is your best choice when coming to Kiroro. 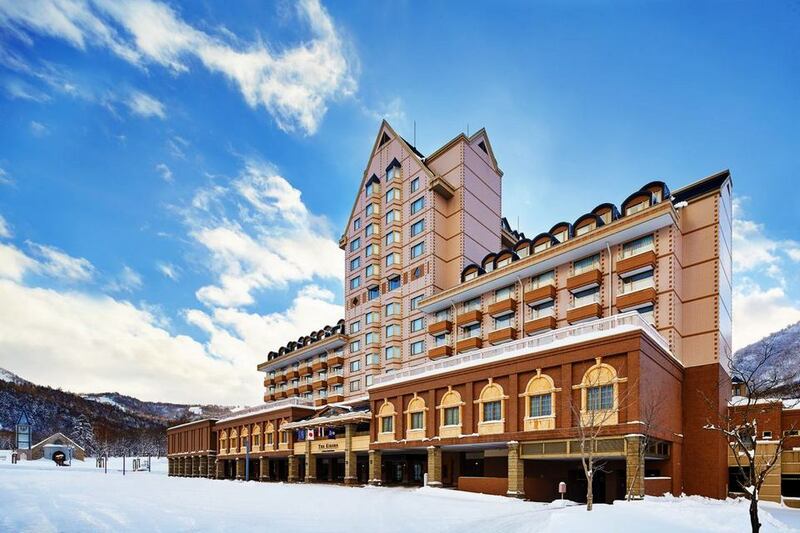 Furthermore, with its 5-star ski-in and ski-out accommodation, and the international snowsports school as well as the world-class facilities under the same place, Kiroro makes a very good case for being one of Hokkaido’s top choices. Let’s keep in mind that Kiroro is a resort in the truest sense of the word. It is also not the best place for going picnic or budget-conscious travelers (there is no town surrounding there). But for people who love the convenience and comforts of a destination resort, and want to ski on the best powder snow in the world, it is the place you should go. Overall sight in Rusutsu ski resort. 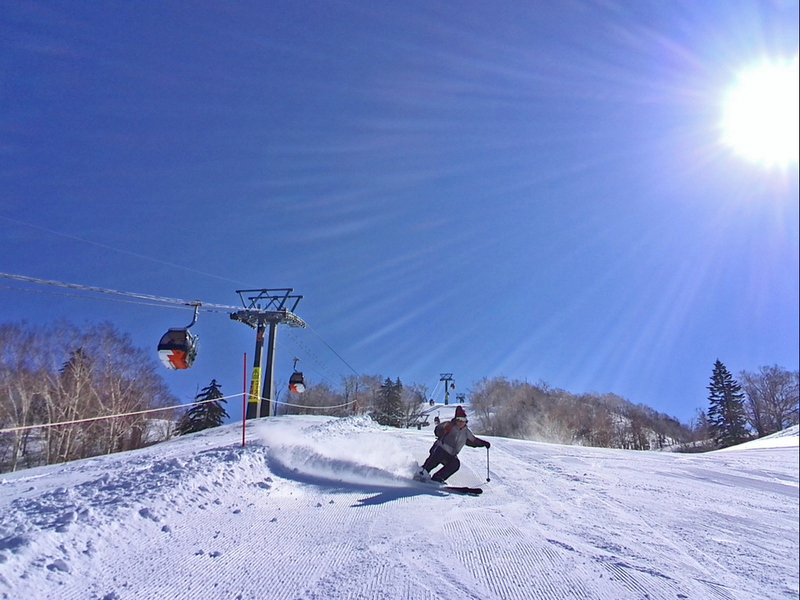 Photo: best ski resorts in Hokkaido for beginners blog. 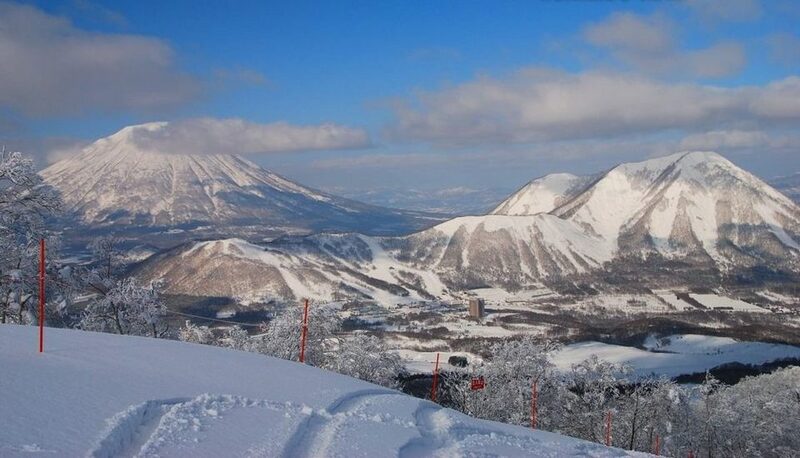 Rusutsu has almost emerged from the shadows of its neighbor – the larger and better-known Niseko United. But visitors who are fans of the resort will list this area as one of the best places to visit. With the relatively crowed number of visitors and more than 42 km of scenic trails, the Rusutsu resort owns the untouched powder snow and the official non-existent lift lines. The large and long power snow line in Rusutsu ski resort. Photo: best place to ski in Hokkaido blog. Rusutsu’s terrain is expansive. All services here are enough for everyone. Expert skiers will not find anything on the snow tracks over steep. But the biggest outstanding of the resort is the feeling when skiing through all trees, which makes a better feeling than any other resort in Hokkaido. 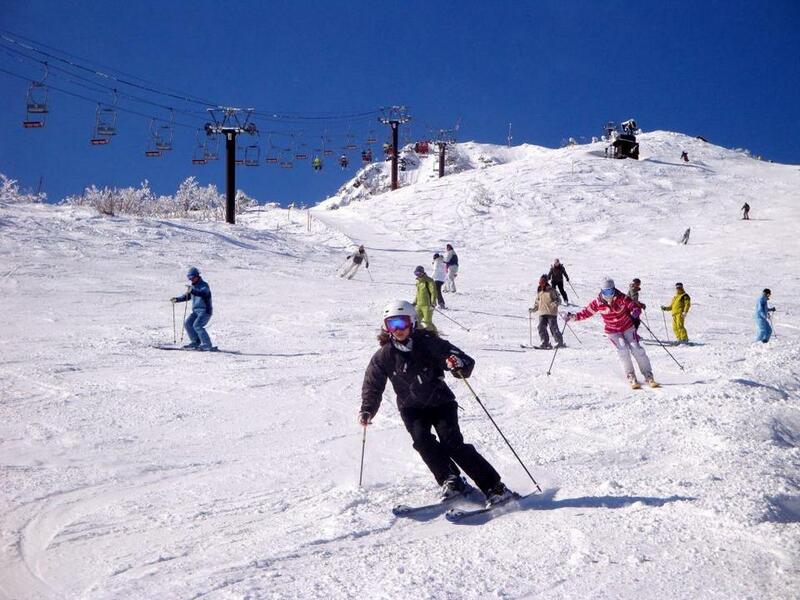 The family skiing tour in Rusutsu ski resort. 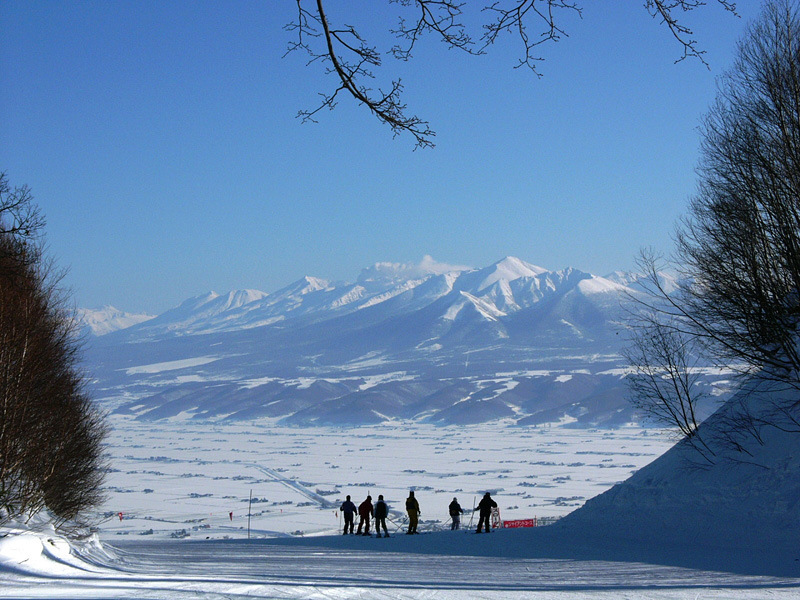 Photo: best place to ski in Hokkaido blog. 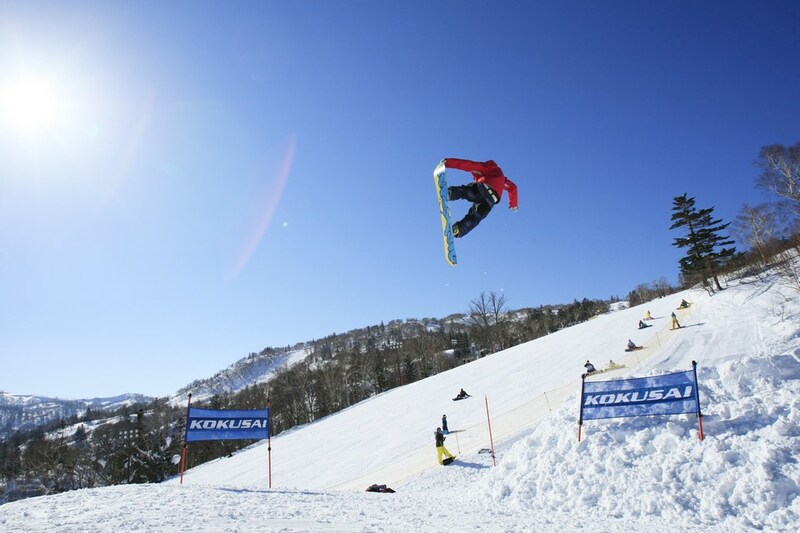 Known as one of the big-name among Hokkaido resorts, Rusutsu offers an English-language snowsports program, the world’s leading facilities, and the best accommodation. Like Kiroro. The resort is a destination where you can find virtually everything from facilities (except the skiing) contained under the same roof. 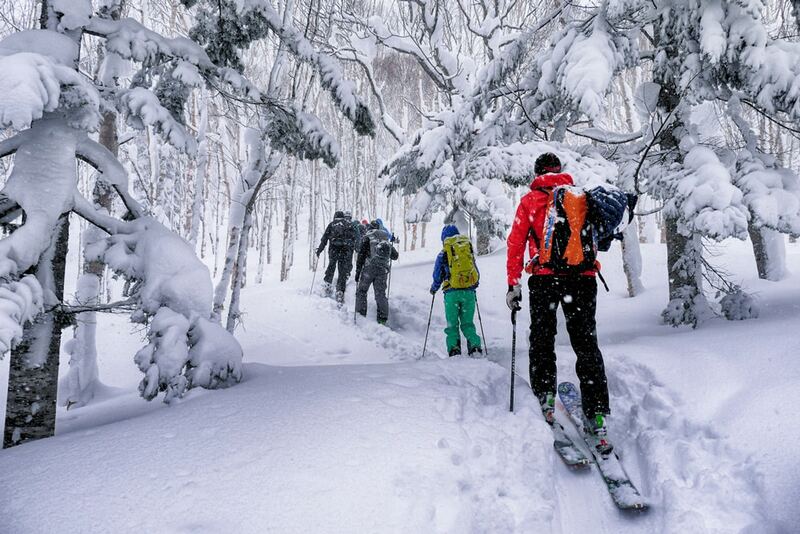 That space is not for everyone (if you want to get around after skiing, Niseko is the best choice). However, those who admire Rusutsu still believe it. 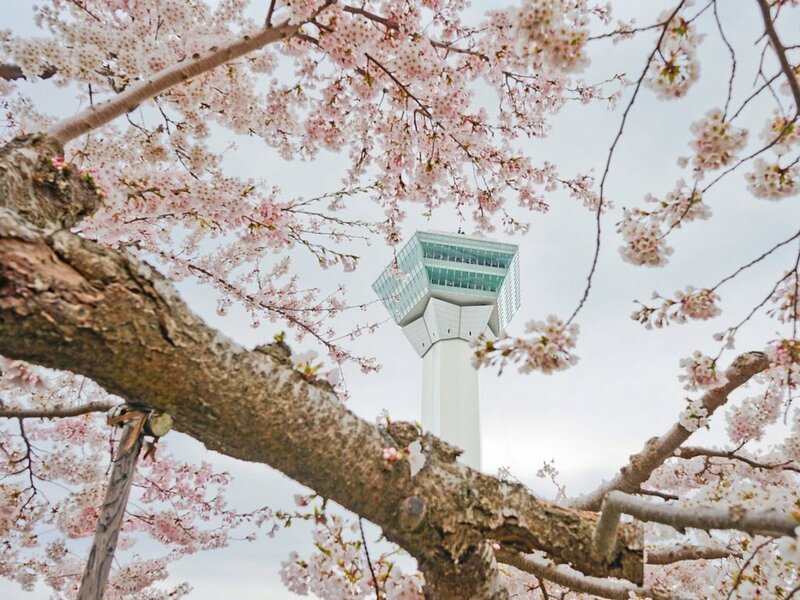 Visitors to Sapporo Teine enjoy uninterrupted views of Ishikari Bay and downtown Sapporo. 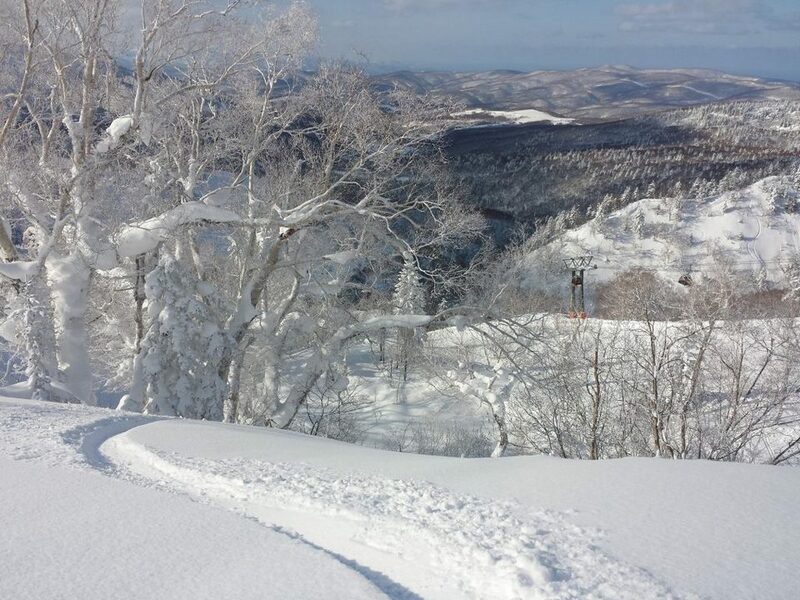 Image by: top ski resorts in Hokkaido blog. 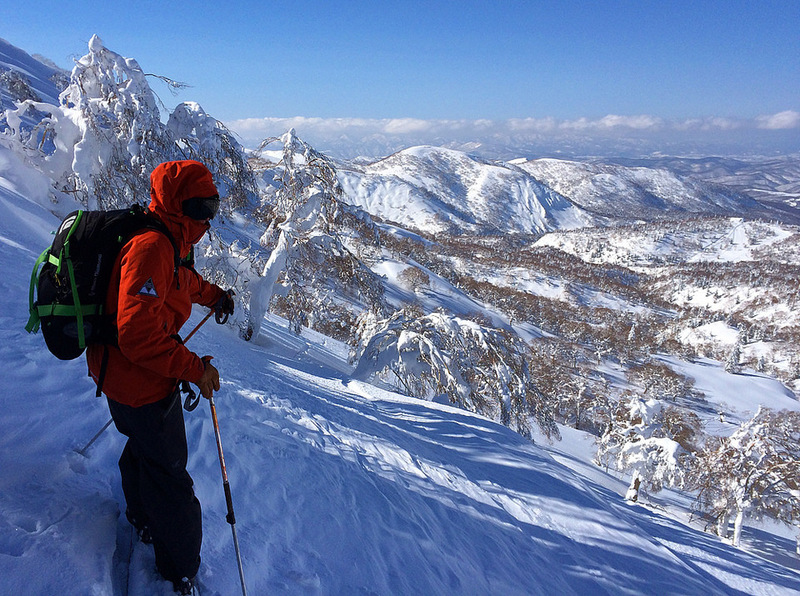 Sapporo Teine is listed as a place that should go on the Ski Asia list for many good reasons. 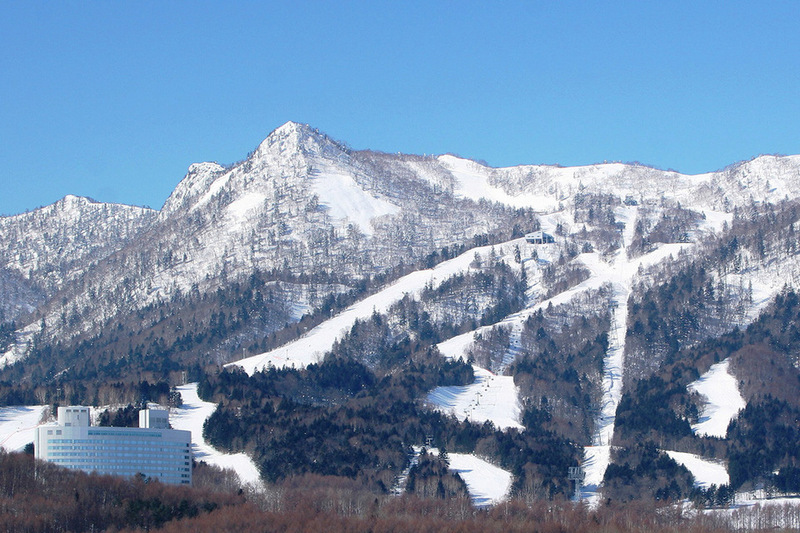 Firstly, its terrain is somewhat more limited than other resorts in Hokkaido (such as Furano, Niseko & Rusutsu). However, it has two major features making us think that many skiers will appreciate. Check-in at Sapporo Teine ski area. 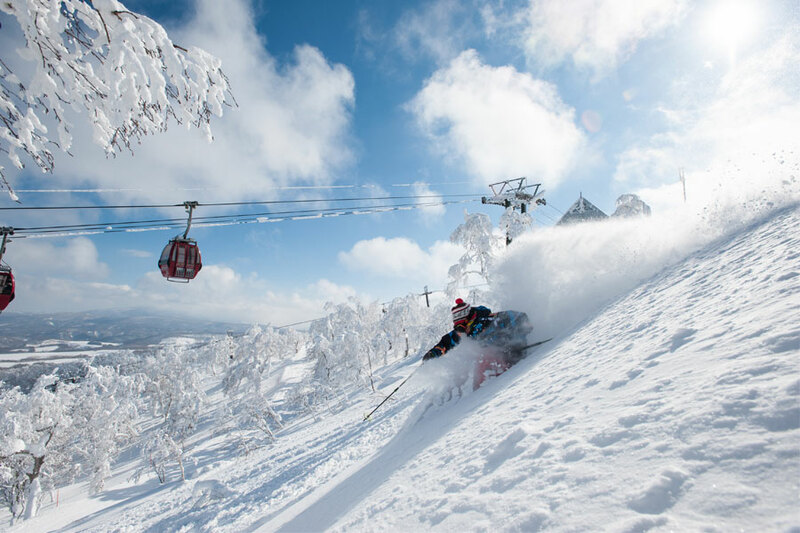 Image by: top ski resorts in Hokkaido blog. The first thing is the views. Visitors love coming to the ski resort. They can enjoy the endless beautiful sight of Ishikari Bay and the center of Hokkaido city when they get their way down the mountain. It is really a breathtaking experience (particularly at night). In the past, we’ve compared these experience to “The Cut” of Grouse Mountain, where you can overlook downtown Vancouver. 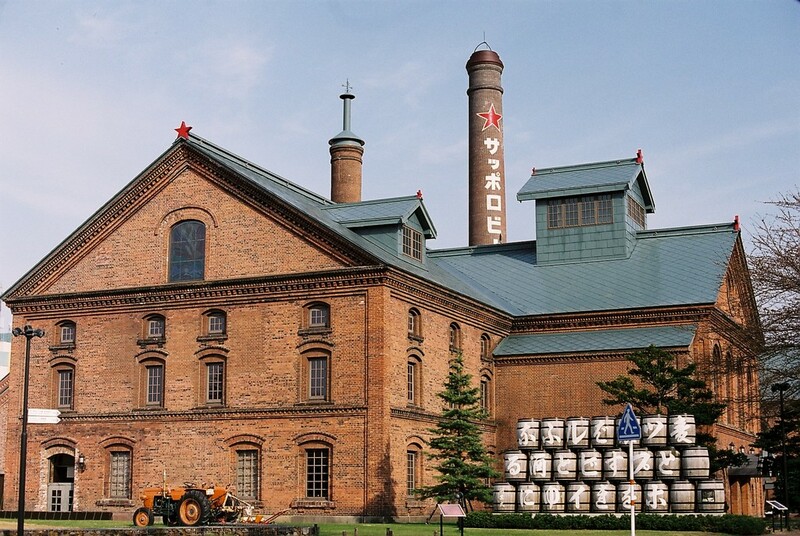 Thus, travelers coming to Sapporo Teine can overlook the entire sight of Ishikari Bay and Sapporo center. Secondly, because of Sapporo center located in skiing distance, it is also the perfect opportunity to hold party celebrations in the center of the city after skiing. Let’s recharge with Hokkaido specialties such as Genghis Khan (grilled lamb) or a spicy soup curry and a famous beer – an ice cold Sapporo beer. 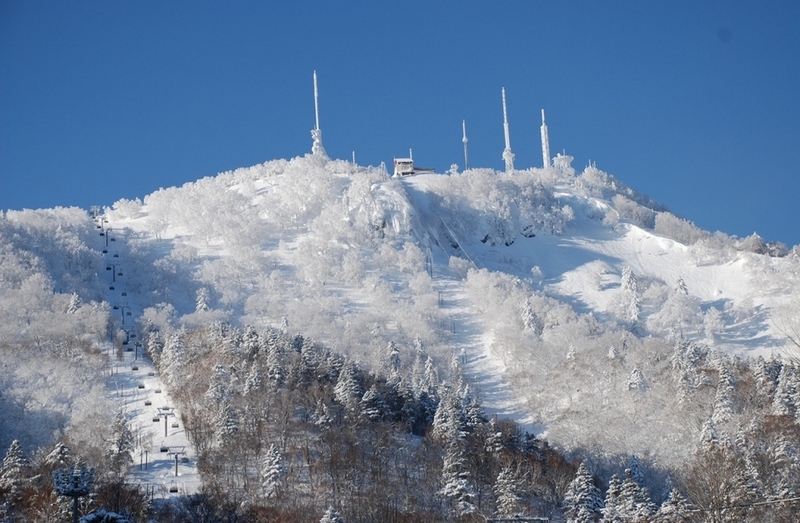 In short, Sapporo Teine is a ski resort for Hokkaido visitors who wish to see more rather than skiing and the staying in their hotel room. It’s also an ideal option for the many travelers visiting this resort and other interesting destinations. 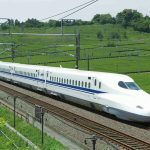 Are you finding more top things to do in Hokkaido: Tours, activities, attractions and other things? Let’s check it out at here.